Homeowners eyeing to go on en bloc have put their plans on hold or went back to the drawing board to devise new strategies amid the uncertainties brought about by the fresh property cooling measures rolled out by the government. Described by some analysts as “heavy-handed”, the measures are expected to dampen the en bloc market as land acquisition costs for developers increase – reducing the bullishness of tender bids, reported Channel NewsAsia. Developers face a non-remissible five percent Additional Buyer’s Stamp Duty (ABSD) when they acquire en bloc properties for redevelopment under the new property curbs. Aside from this, residential developers also have to contend with a 15 percent to 25 percent increase in remissible ABSD, which can only be waived once all units in the new project are sold within five years from purchasing the site. “Homeowners are definitely very concerned; one of the first comments I heard was ‘It’s game over’,” said Cushman & Wakefield capital markets director Christina Sim. 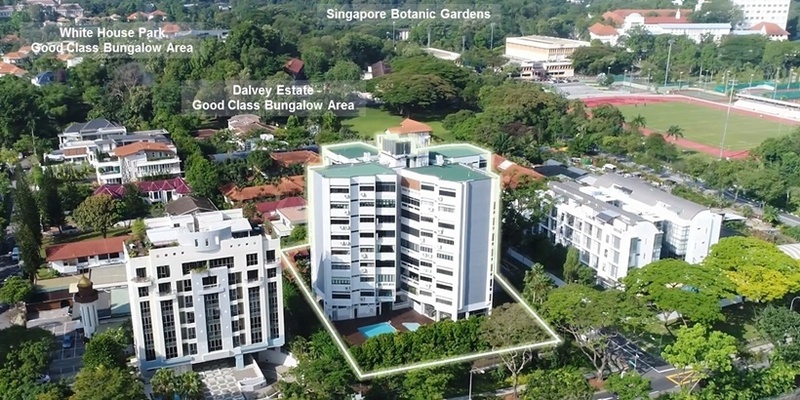 With this, her company plans to advise the sales committee for Dalvey Court condominium to have the tender closing date extended by one month. With a price tag of $160 million, the freehold property’s tender is set to end on 2 August. JLL also plans to suggest a one-month extension in the tender closing period for Horizon Tower, which carries a reserve price of $1.1 billion. Since developers need more time to digest the new measures, JLL capital markets regional director Tan Hong Boon said it is “prudent for us to advise the owners to extend the tender closing period to ensure sufficient time is given for the developers’ assessments of the market and the site”. The plan to go en bloc this week for Waterloo Apartments, on the other hand, was shelved, said Cushman & Wakefield’s Sim. Meanwhile, some homeowners decided to push through with their plans. Fortune Park, for instance, will be going ahead with its en bloc attempt on Thursday (12 July), with a reserve price of $126 million. “We have no plans to hold back the launch or change our tender period,” said Huttons Asia investment sales head Terence Lian. In fact, the agency will be keeping the tender periods for Blossom Mansions and Jansen Mansion, which are due to end on 31 July and 2 August respectively. “While we received a lot of enquiries about how these cooling measures will impact the ongoing collective sales, we are not that worried because we think the measures will not affect small- and medium-sized projects,” explained Lian. “The number of units that a small site can be redeveloped into will be comparatively lesser than a mega site. So even if developers have to pay the additional five percent ABSD, they may be spared the 25 percent penalty since they have a higher chance of clearing the units within five years,” he added. Fortune Park is a freehold condominium in Kovan with 68 units. Blossom Mansions and Jansen Mansions, are much smaller, with 20 and 12 units respectively.